A new cafe has opened its doors in the neighborhood. Called Cafe Poetes, the new addition is located at 122 W. Gray St. in Midtown. This new French-inspired boulangerie and library is designed as a contemporary interpretation of a Parisian cafe, according to its website. It features light cafe fare and craft coffee and tea, as well as a selection of wine and more. 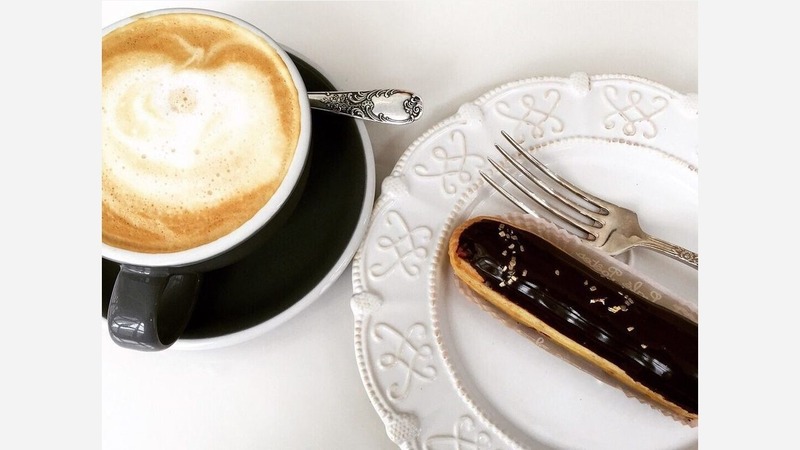 On the menu, expect to see sweet and savory eclairs, such as a marinated chicken eclair with arugula and balsamic vinegar, a smoked salmon eclair with artichokes and gravlax sauce, and sweet salted caramel eclairs. There are also walls of books to peruse, as well as an outdoor terrace. With a 4.5-star rating out of nine reviews on Yelp so far, patrons have warmly received the new cafe. Marissa W., who was among the first Yelpers to review the new spot on February 18th, said: "It's finally open! As you walk in, you are greeted in French. Very authentic and beautifully decorated inside. The patio is quite spacious and peaceful with French music playing in the background." And Yvette H. added: "What a whimsical place! This cute little cafe looks like it was plopped onto the street straight from a fairy tale. Or somewhere from Europe. Parking is limited so we street parked and walked."